The Workbook provides extra practice of the language covered in the Student's Book. The Audio CD provides the listening material for the exercises in the Workbook. 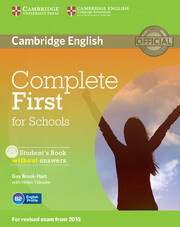 Class Audio CDs, available separately, contain the recordings for the Student's Book listening exercises.